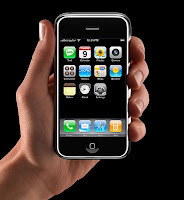 Abilene Christian University (ACU) will be the first college/university in the nation to provide all incoming freshman with either an Apple iPhone or an Apple iPod. This will not be free of course but discreetly hidden in the tuition bill parents receive. Not unlike the University of Delaware's famous "Health Services Fee" which still mystifies me to this day. I think this is an interesting thing to do but if I attended the school I would be against it. First of all, I don't need (or want) to check my email when I'm not at a computer. Nor do I want to be forced to pay for something which has features I would either never use or not feel comfortable paying for. The school touts benefits including homework alerts, being able to get directions to their professor's office (heres a hint, it's RIGHT ON CAMPUS) and check meal and account balances. There is no mention of the indirect subsidized profit sharing this is giving to the Steve Jobs Apple empire. I would be inclined to believe Apple and the school discussed the move and some cash changed hands.